 Canada Waterproofers Brampton specializes in home waterproofing, drain repair, plumbing, concrete floor installation, and much more. For over 25 years, we have been providing quality service to the Brampton community. At Canada Waterproofers Brampton, we treat your home as if it’s our own – because we are homeowners as well. We get it. We understand that your home is more than just a financial investment. It’s where you relax and find peace. It’s where you raise a family. For many of us, it’s where you work. We keep that foremost in mind when it comes to quality workmanship and the materials we choose for the job. You’ll hear of instances where others in the industry use cheaper products and equipment, and bring in lower standards in their workmanship, leading to early failures in the work and callbacks to correct a job. That’s not us. We believe in doing the job right the first time. As much as we like our customers, we don’t want to go back and visit your home after a job is complete. Our fully-transferable, 25-year warranty backs up our quality commitment. It is very important in an industry filled with dishonest practices to deliver a job founded on old school values of quality, integrity and openness. At Canada Waterproofers Brampton, this is our mantra. Every home is unique. We are proud of the work we do and are eager to involve you in every step of the process when it comes to waterproofing your home, clearing up a drain issue, or providing plumbing services. Via good communication, you get a better read on the process and understand how our solution has been applied to your home and unique situation. Canada Waterproofers Brampton will help our customers with any project, no matter the size. We are always a telephone call away. We believe in a personalized approach. So when you call us we won’t just direct you to a sales person. You are not just a notch on a sales sheet. We look at this as a collaboration. We’ll figure out the problem at your home and offer the best solution. Canada Waterproofers Brampton is here for you. We will come to your house and provide a free no-obligation written quote before starting any project. Once you decide to go ahead with the work, an onsite technician will oversee the job, monitoring all activity, so it’s performed according to our high standards. It’s so important to deal with professionals. Our technicians pride themselves in paying attention to the smallest of details. Nothing is left to chance. The team at Canada Waterproofers Brampton will only be content when our customers are happy. The climate is changing. It’s not just the news reports. Just look out the window. Global warming means higher precipitation levels, and the challenge of maintaining our aging homes is becoming more of an issue. Canada Waterproofers Brampton is up to the task. Your basement will stay dry and your plumbing will perform as it should for years to come. Choose Canada Waterproofers Brampton. Our customers are everything to us and we enjoy meeting new people. Have a look through our website. If for some reason we haven’t answered questions that you have, give us a call. We would be more than happy to help.